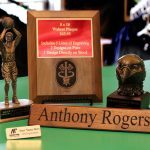 Engraving – D & D Companies, Inc.
D & D Companies, Inc. offers custom laser engraving and hand engraving on a variety of surfaces and products completed here in-house. 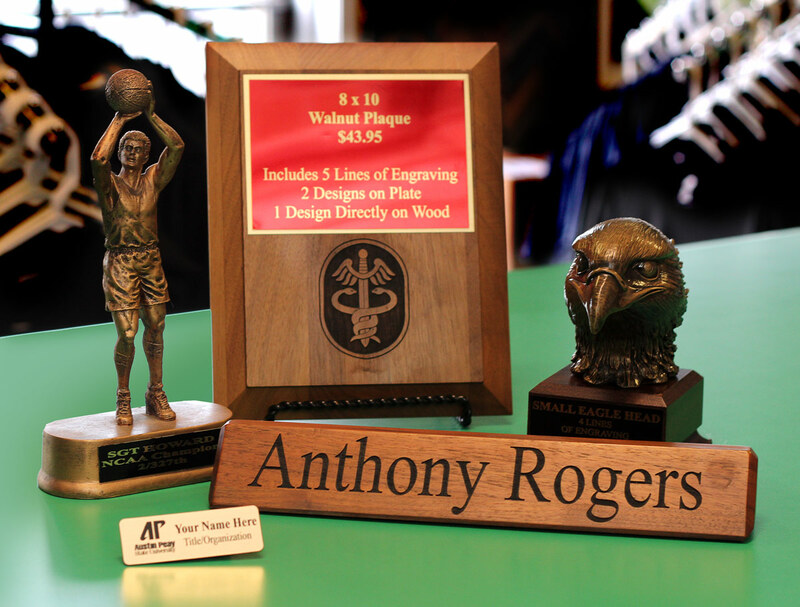 Frequently engraved items include, but are not limited to, plaques, name plates, awards, and other custom gifts. 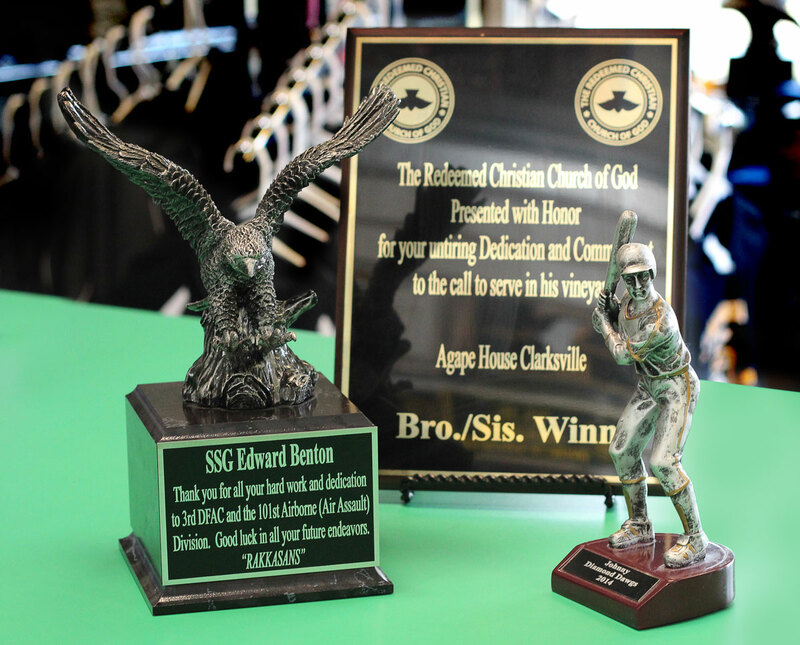 We offer a wide variety of awards from standard trophies to higher quality resin, glass, and crystal awards. We have included access to links for the different categories of custom engraved items we have available to our customers. If you are interested in placing an order for any of these items or if you have any questions, please contact us so that we may assist you. We offer a wide variety of custom engraved gifts from metal flasks to bamboo cutting boards. These gifts are a great, personal way to show that you care. 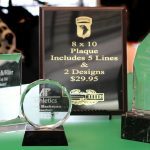 Here at D & D, we recommend our affordable, high-quality resin awards to our customers. 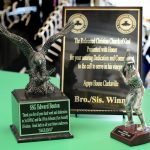 These awards work well for sports teams or anyone who wants to recognize a larger group of people. 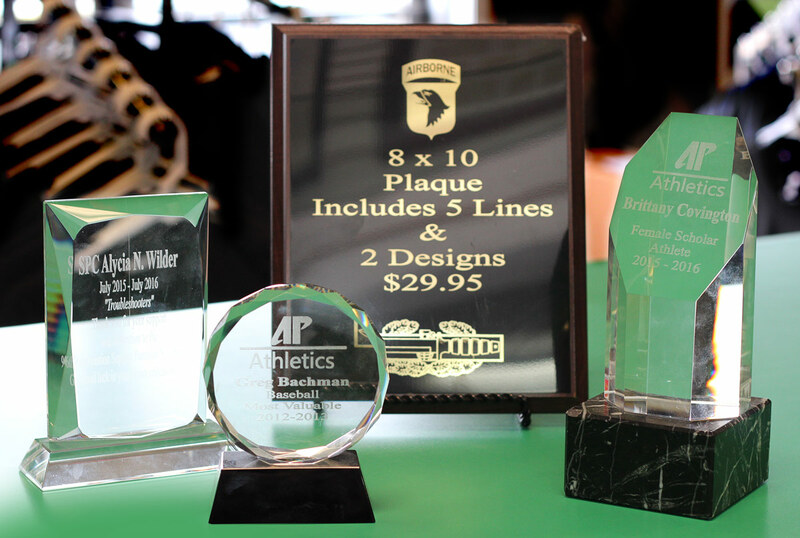 Acrylic awards possess a similar look to our crystal awards but are much more affordable. These awards are ideal for people on a budget who still wish to show their appreciation with an elegant design. For a high-end option, we recommend our crystal awards. Crystal awards are the perfect way to show an individual how highly you regard them.